I love glitter at Christmas time. It's on the fun picks I stick in my Christmas Tree and on many of my store bought ornaments, so naturally I need to add some to ornaments I choose to make along the way. using rubber stamps and Art Institute Glitter. the glue and tip from Art Institute. bit hard to follow but I finally figured it all out. 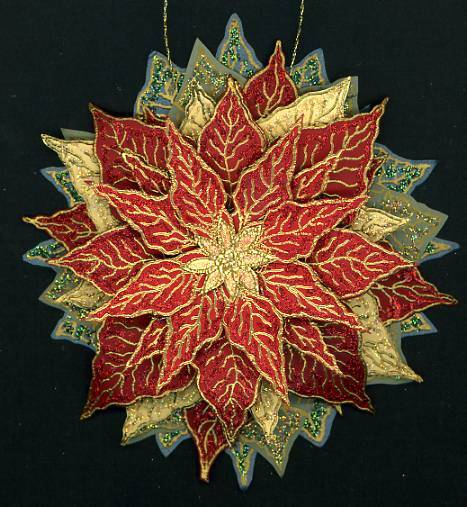 This ornament was created by stamping the full image 3 times and heat embossed with silver powder. Stamped twice on mint green cardstock and once on pale yellow. 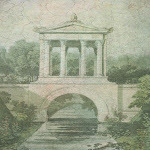 Then the images were trimmed so they could be layered one on top of the other to create this finished image. 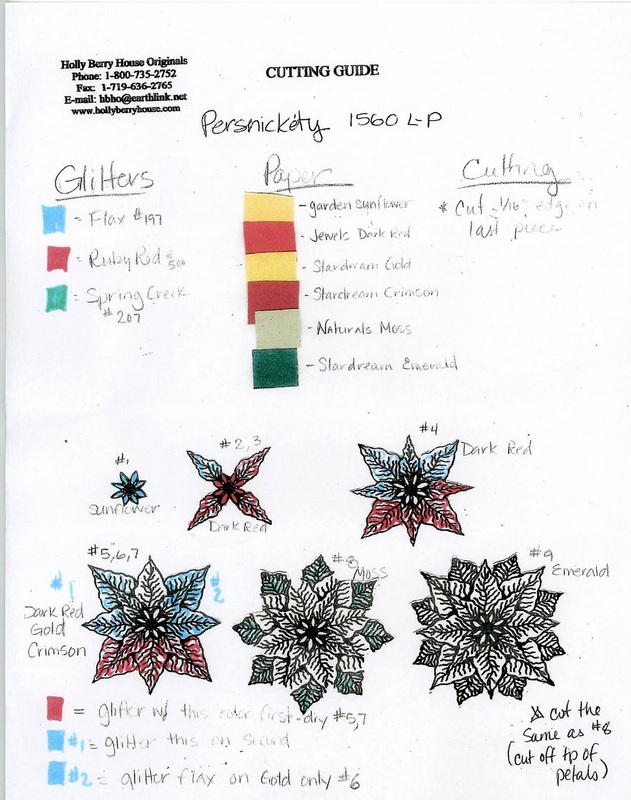 Before being assembled each layer was glittered using glue, glue tip and glitters from Art Institute Glitter. Rubber Stamp is by Sweet Stamps. 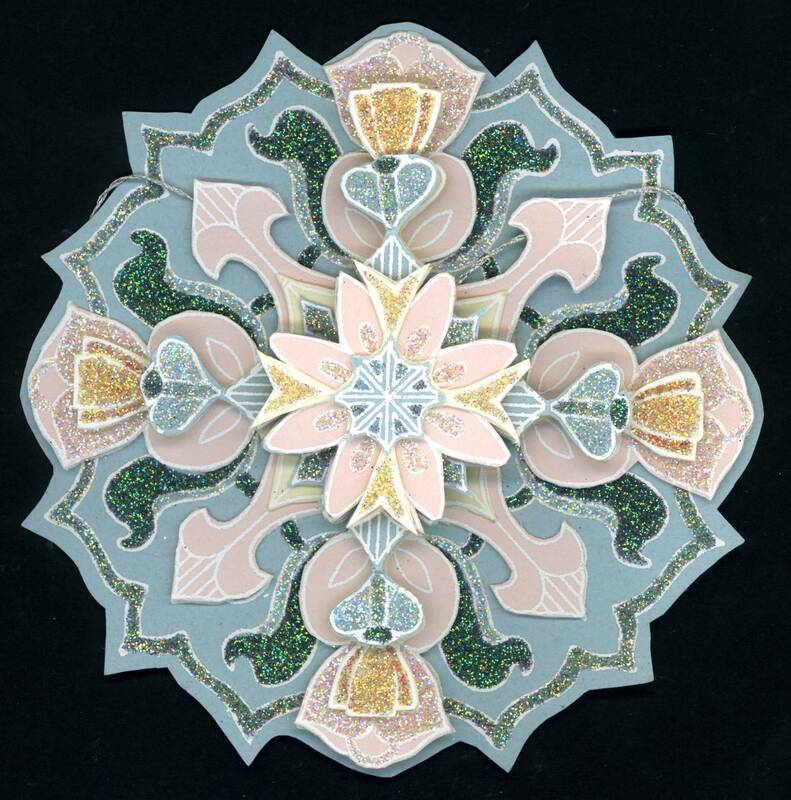 This was created using the same similar steps from above. Glittered using glue, glue tip and glitters from Art Institute Glitter. Rubber Stamp is by Holly Berry House Rubber Stamps. You don't have to layer the stamps if you don't want to, for this ornament I heat embossed only one stamping of the image, glittered and cut out the center to add a photo of my kitty "Sherlock". I enjoy creating cards where the main image is also a gift. This card front has a removable Santa Christmas Tree Ornament. 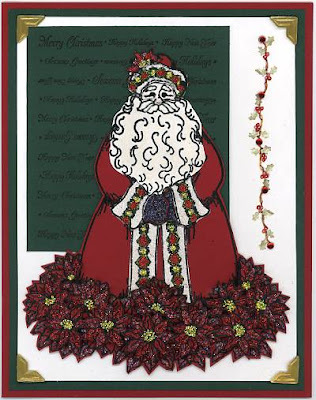 It is attached with removable tape and the gold thread hanger is tucked behind Santa. of glitter on Santa's costume and gloves. I hope this inspires some of you to drag out the glitter and add some sparkle to your holidays. Creative Commons License for EKDuncan Images - also see my "Terms or Use" for more details. EKDuncan work is licensed under a Creative Commons Attribution-NonCommercial-ShareAlike 3.0 Unported License. 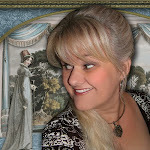 Hi - I'm Evelyn Kennedy Duncan aka EKDuncan and some of my favorite creations include Digital Art Projects, Paper Doll Creations, ATC's , Domino Art, Scenic Stamping, Altered Art and whatever strikes my fancy. 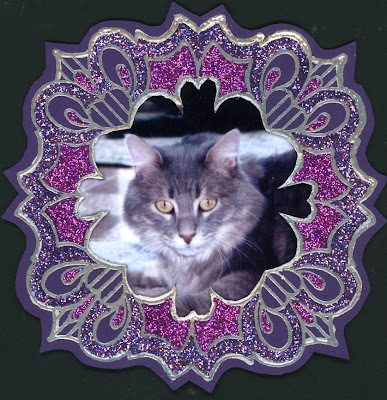 I'm a mixed-media artist that like's to dabble, play and follow inspiration where it leads me. I never know where my muse will take me but it is always an adventure. Tag along for the ride to see what I'm creating or what cool finds have inspired me on my journey. 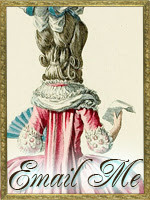 Feel free to use the images to create personal projects or handmade items for re-sale. The "My Fanciful Muse" aka EKDuncan images themselves are not to sold; this includes the creation of collage sheets or "do it yourself" projects comprised of EKDuncan images. Click on the image of your choice (left click to select the image) - this will take you to another screen where you will see the larger graphic. Once on the new screen - right click on the image and "save image as" to your computer. Please note - if you save the image directly from the blog page you will only be saving a smaller thumbnail of the image and not the larger printable image. You can find a large selection of images, backgrounds, scenic photos, frames, curtains as well as fun and interesting items for digital creations on my deviantART gallery at http://eveyd.deviantart.com/gallery/ - Come take a look. I hope you like them too! 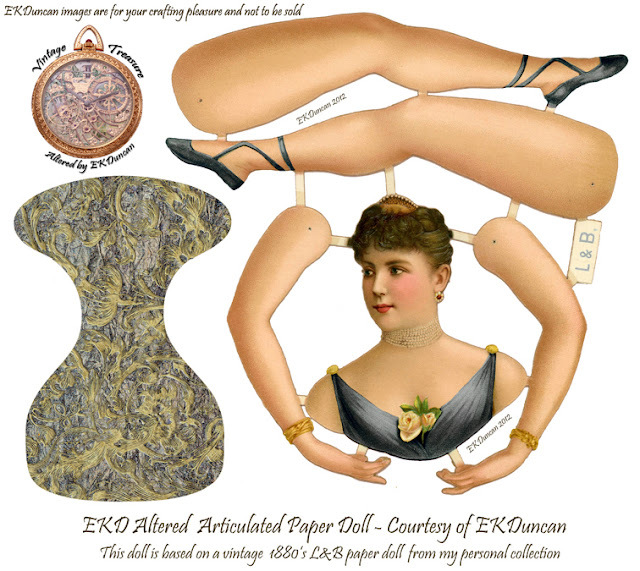 My growing collection of Original L&B Victorian Paper Dolls - These articulated paper dolls are over 100 years old. This was my very first original Ballerina Doll and she is still my favorite. I think she represents Alexandra Princess of Denmark who later became Queen Alexandra of England after she married Edward VII. She had a scar on her neck due to a childhood accident so she always wore a tall collar of pearls to conceal it. - A few places have this same doll listed as Lillie Langtry; however I believe the crown along with the dog collar of pearls points toward a royal title. 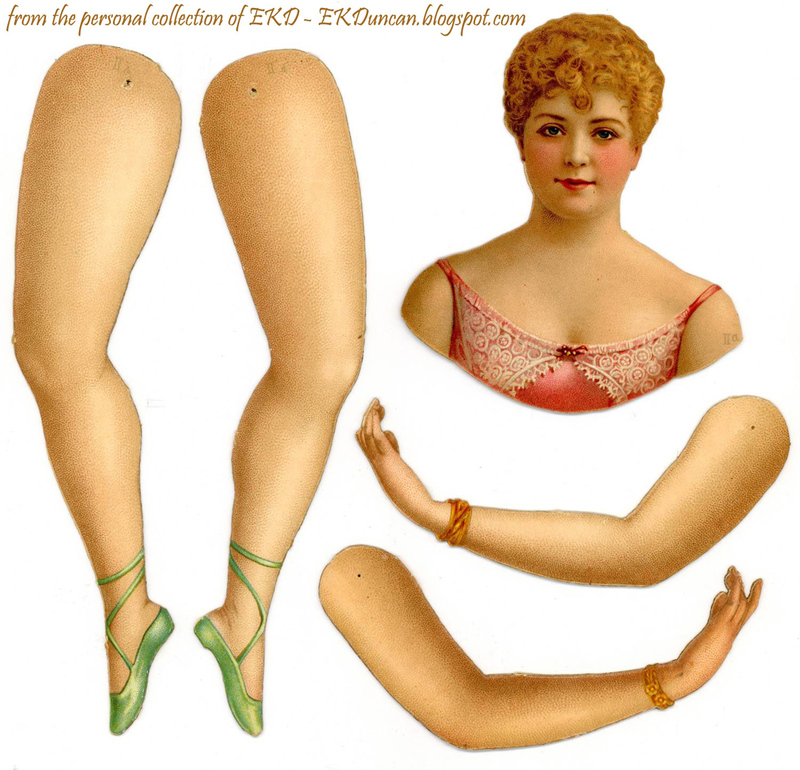 I love my vintage paper dolls; however at times I want a bit more variety in the way they look. I've digitally made some enhancements to the "Queen" of my collection and now there are several new color choices to play with. I've also added in some fun coordinating torsos to go with each. 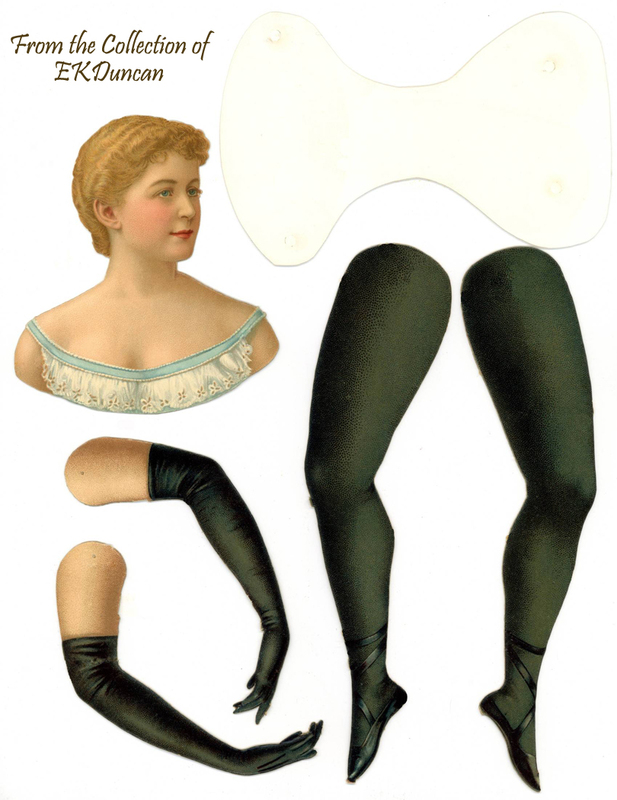 L&B manufactured an assortment of articulated/jointed paper doll parts from the late 1800's and into the early 1900's. 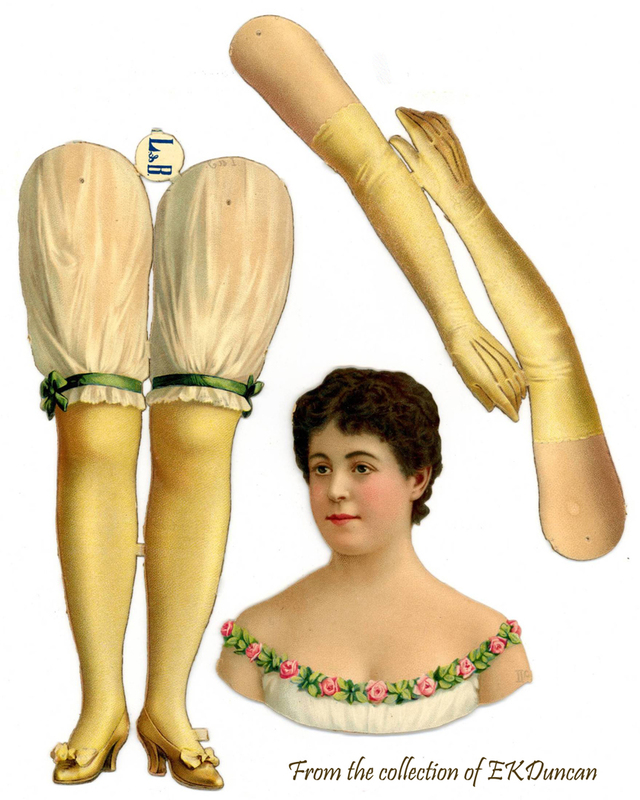 Several of the dolls they created were ballerinas and then there were the "Prima Donnas" or Bloomer Girls. 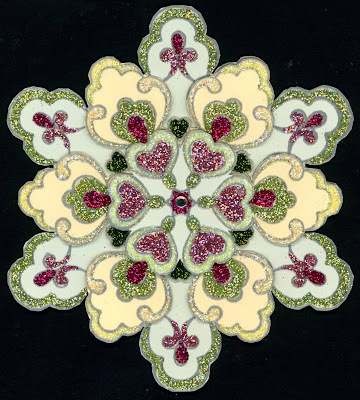 The Prima Donnas came in several sizes and are most especially prized when found in an uncut set of three. The vintage torso that came with this doll was marked Adelina Patti in pencil on the back. Originally L&B would have produced this doll head to go with ballerina parts. 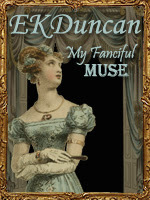 She would have had green ballerina slippers to go along with her green and pink bodice. Bit by bit as I acquire more dolls I might get all the right parts to go with the corresponding heads. I purchased this doll from a lovely lady in Australia. A small treasure found a world away. Update - I now have the correct ballerina parts to go with this doll head! 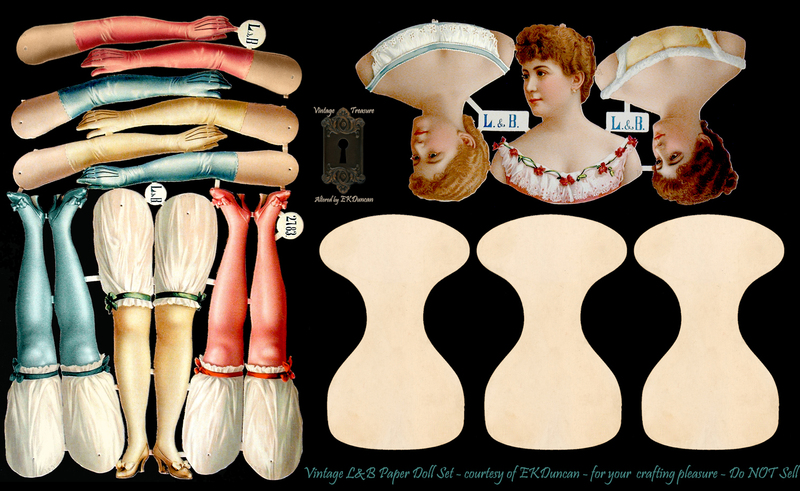 I've worked a bit of digital magic in updating the look of my vintage Adelina Patti L&B paper doll. She now has a new haristyle and comes in a variety of colored costumes. I believe this doll represents the stage actress Lillian Russell. Sometimes when you purchase these dolls you don't get lucky enough to get all the right parts. This doll should have legs with pink ballet slippers but I'm happy to get her and hope to eventually get the correct legs for this doll and the blue lady head to match the blue slippers. I purchased this doll from a lovely lady in Australia. Update - I now have the pink ballerina slipper legs to finish off this doll. Background - Copyright 2013 by EKDuncan. Powered by Blogger.